What do locals in Miami really eat? 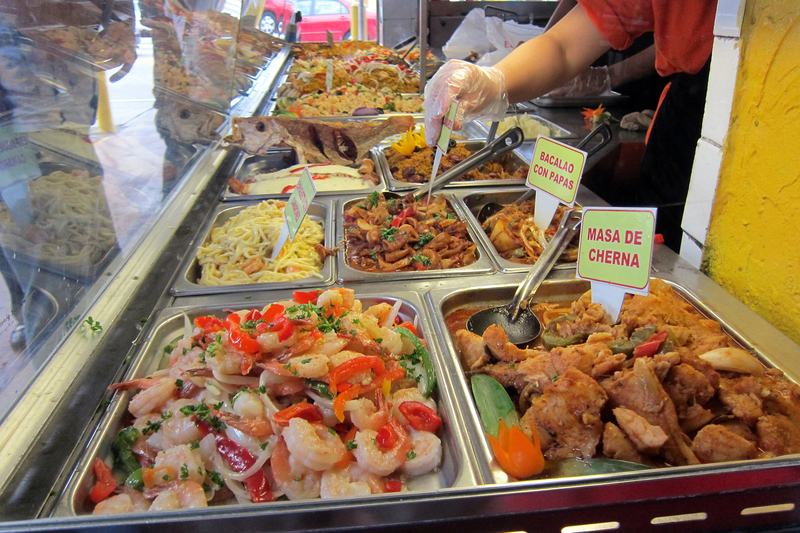 Skip the tourist traps and follow our lead to the best Cubanos, arepas and more. People think Miamians spend their days noshing on Cuban food and taking swigs of cafecito every chance they get. Well, this is only partly true. 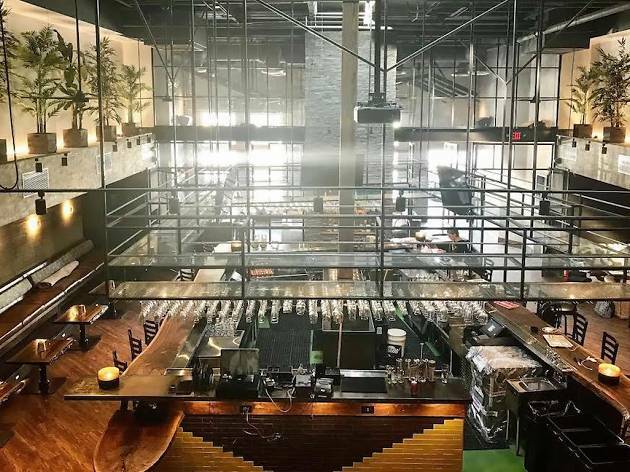 We certainly eat our share of Cubanos but a 305-ers’ diet is also heavy on Miami stone crabs, arepas and more of the foods that represent our coastal lifestyle and the city’s melting pot of cultures. 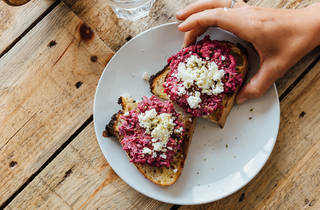 Miami is a place where eating around the world is as easy as hopping in your car and driving to Little Havana or Wynwood, and that’s just what locals do when they’re craving these only-in-Miami eats. 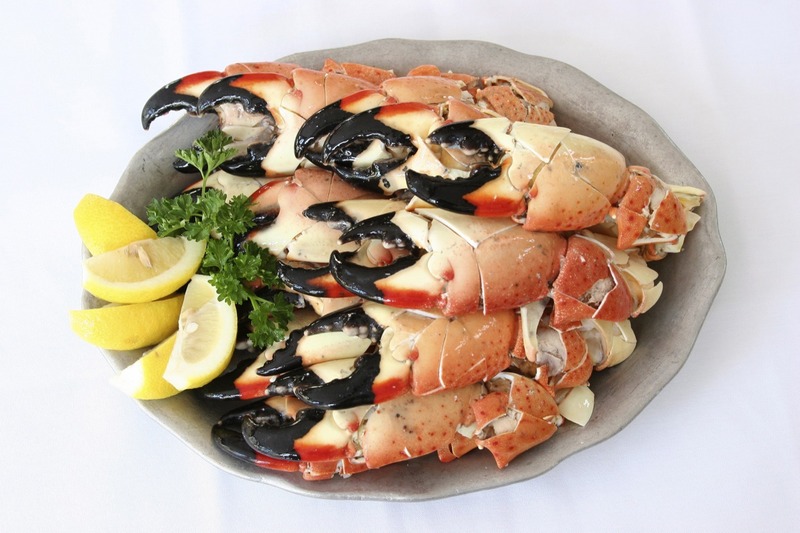 This Miami delicacy is available from October 15 through May 15, and you better believe we mark our calendars every year in anticipation of stone crab season. 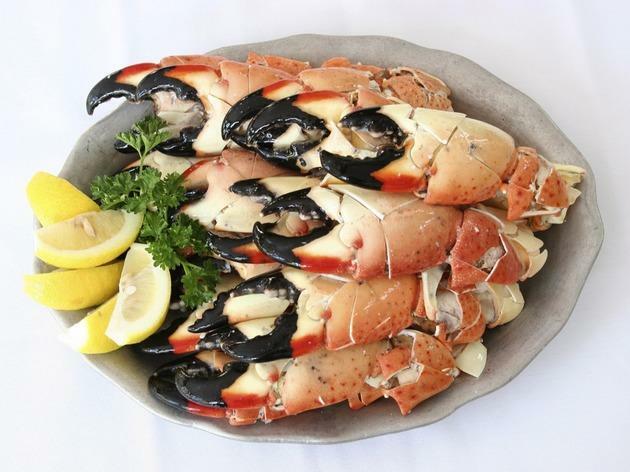 Joe’s Stone Crab is the old standby but when lines get long—and trust that they do—plenty of other restaurants in the city offer fresh claws worth digging into. 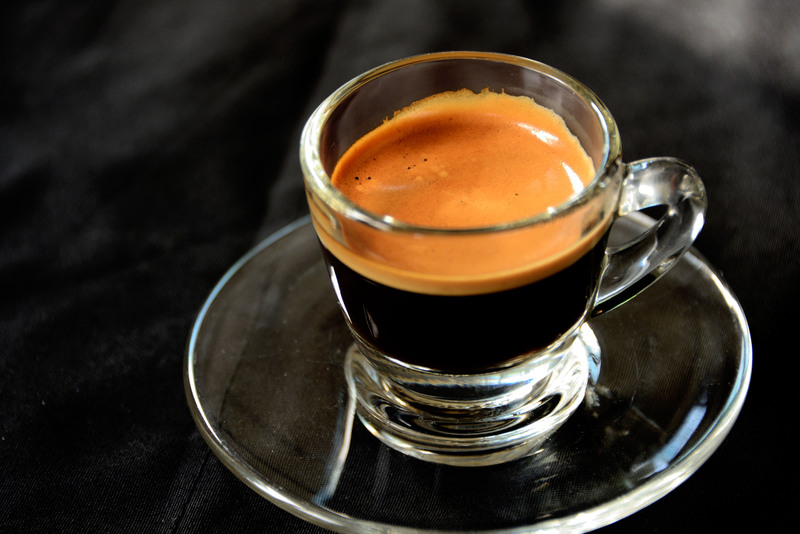 If you’re not fueling on cafecito, you’re not surviving in Miami. 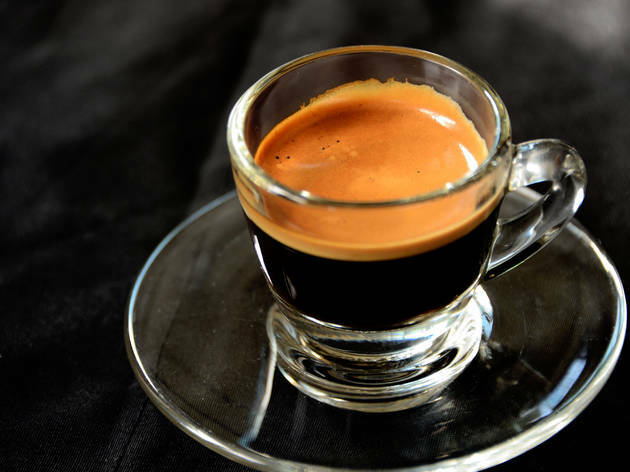 A tiny thimble filled with sugary Cuban espresso is how locals caffeinate, especially at 3:05pm, Miami’s official coffee break as designated by the city. 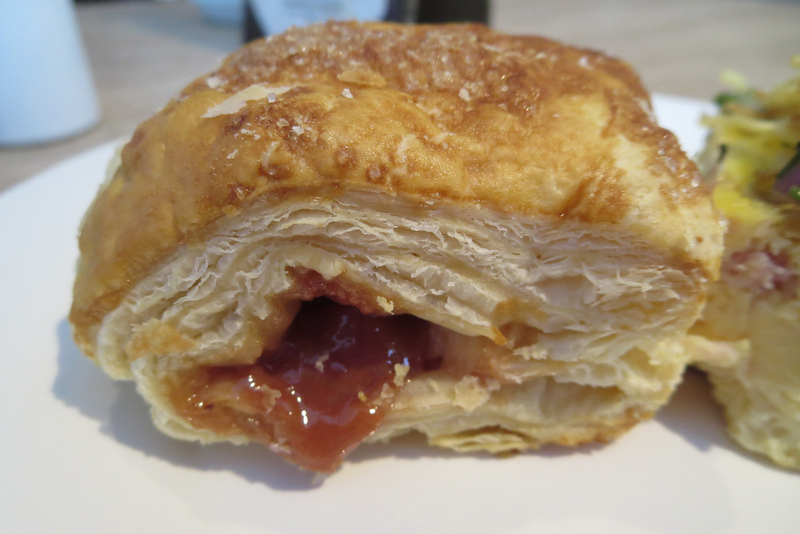 You can get a cafecito just about everywhere in Miami but our favorite is the ventanita at Versailles, standing elbow-to-elbow with Cuban expats, old-timers and tourists while we sip and snack on a pastelito or two. 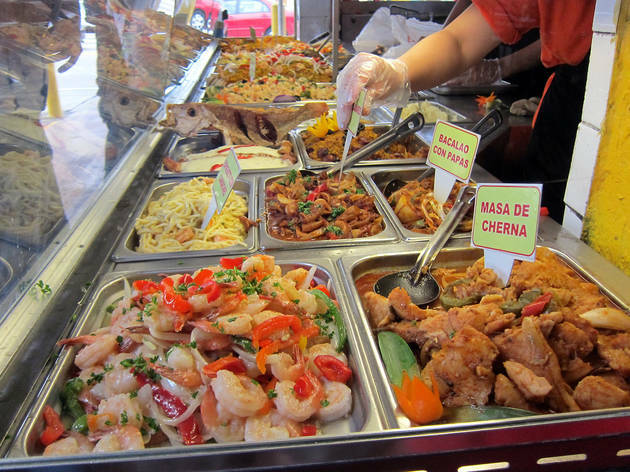 Combo platters for one that can easily feed a small army, Cuban food sold by the pound and fresh-fruit juices that cost less than your drip coffee at Starbucks—Palacio de los Jugos ticks off every box of what we want from a cheap and delicious cafeteria. It’s also a produce market stocked with tropical fruit and seasonal veggies, and boasts multiple locations across the city. Does it get any better than this? 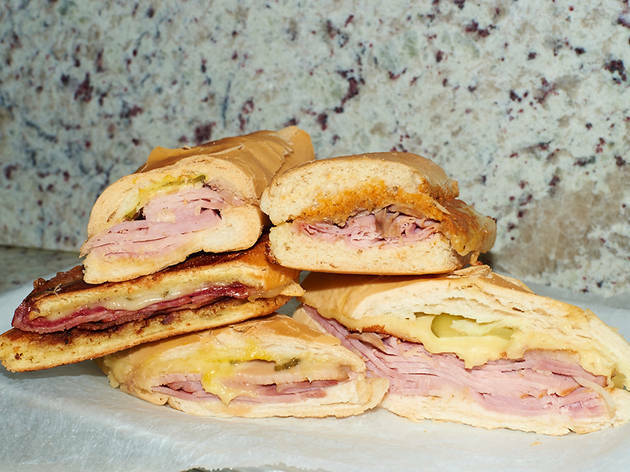 Just like New Yorkers do with pizza and bagels, Miamians have discerning tastes when it comes to Cubanos—so much so that we ranked our favorites in the city. 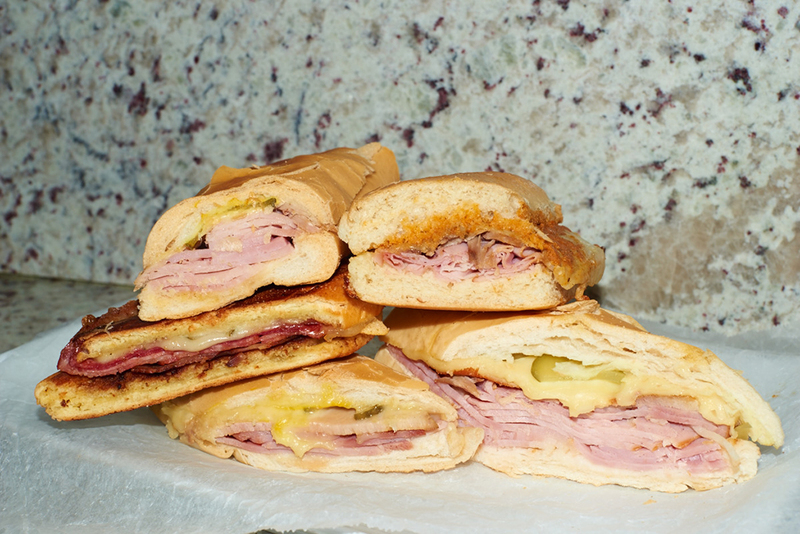 What makes a great Cubano? Is it the cheese-to-ham ratio? The bread? It’s both plus a smattering of other variables we’ll leave up to taste-testers to decide. 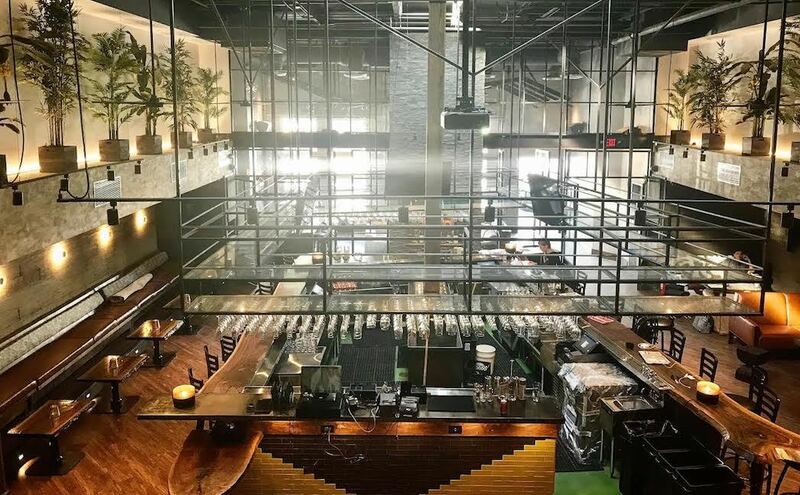 Some of our favorite restaurants for Cubanos are Versailles, a classic; Enriqueta’s Sandwich Shop in Wynwood, one not just hipsters can agree on; and Sarussi Subs, if you’re craving something out of the ordinary (read: secret sauce). 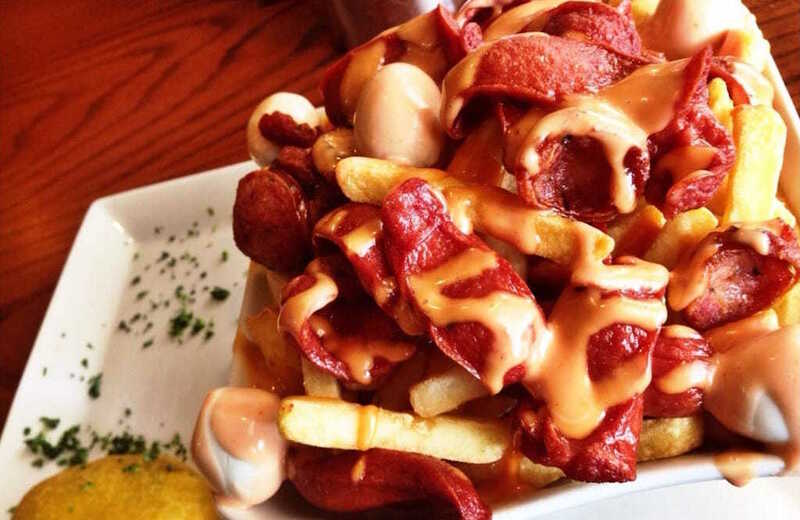 After a night of drinking, no food will bring you back to life quite like a Colombian hot dog. 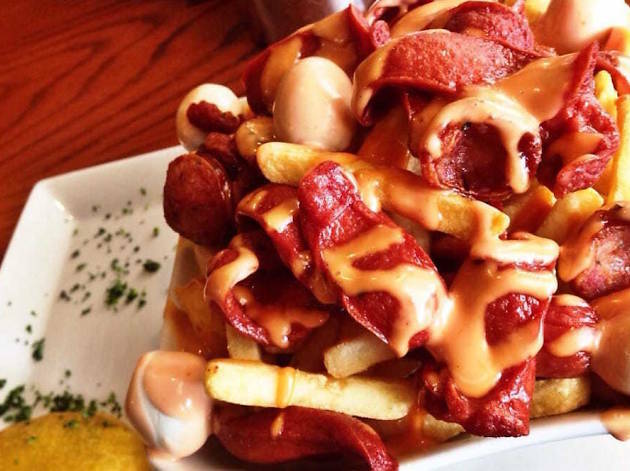 La Moon’s SuperMoon Perro is this transformative dish that barely resembles a hot dog—partly because the weiner is hidden below a mountain of cheese, sauces, fries and a fried egg. It’s messy and delicious, and while it might seem like a lot for one person, so was that pitcher of margaritas you just put away. The best part about La Moon? It opens till 5:30am on weekends. 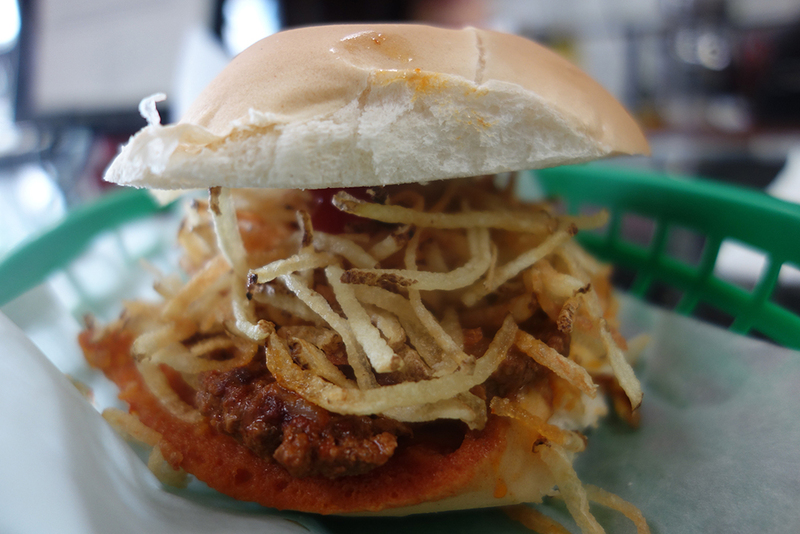 Everyone’s heard of Cubanos but most people don’t know that Cuba has another famous sandwich: the frita. 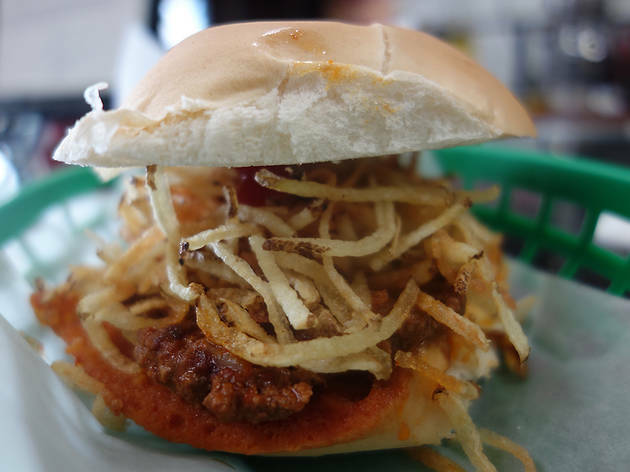 It’s essentially a Cuban hamburger made with a spiced beef-and-chorizo patty stuffed inside a Cuban roll and topped with shoestring fries. 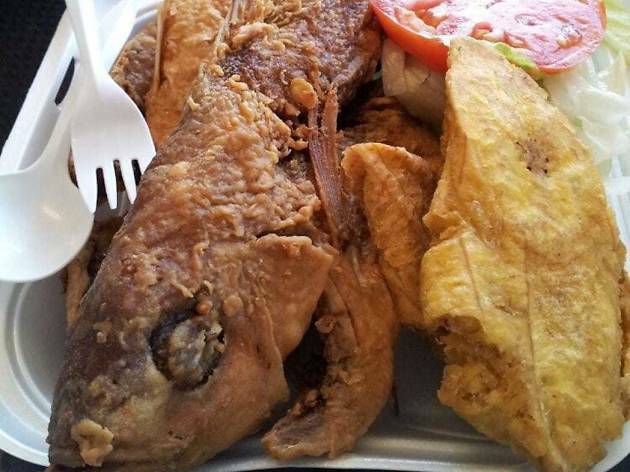 The city’s two frita giants are known as the king, El Rey de las Fritas, and the magician, El Mago de las Fritas. The latter, which claims to only use beef in its patties, was made famous by a string of celebrity clients, including President Obama and Guy Fieri, among others. 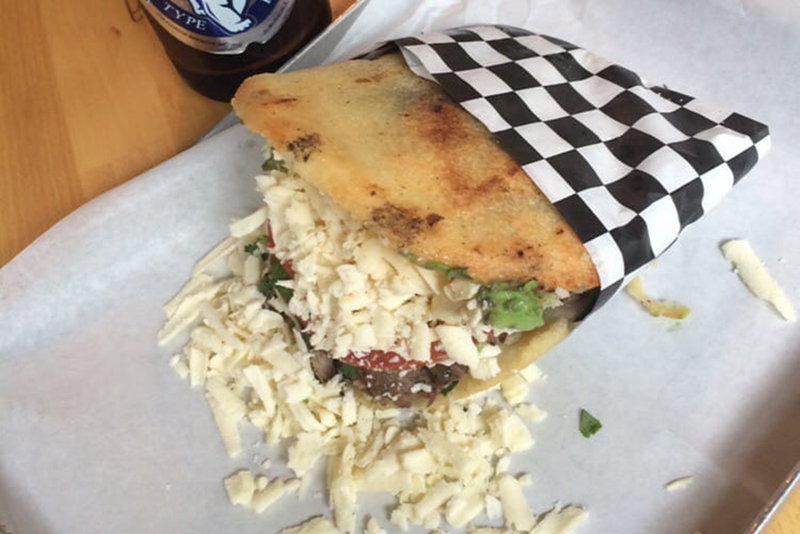 These days you can find arepas in just about every major city in the U.S. But thanks to Miami’s growing population of Venezuelan expats, ours are decidedly better than the rest. 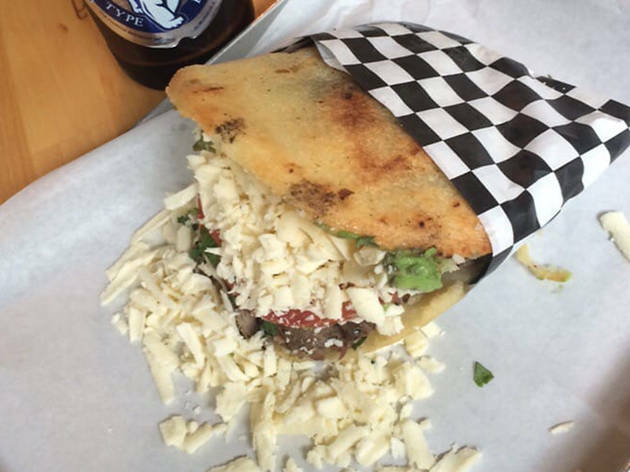 Doggi’s Arepa Bar is the place to go for authentic cornmeal arepas with traditional fillings like reina pepiada (chicken avocado salad), while Edukos in Little Havana turns the sando on its head with modern ingredients like a bang-bang shrimp and Philly cheesesteak. Instead of coffee and a doughnut for breakfast, Miamians start their day with a cafecito and a pastelito. 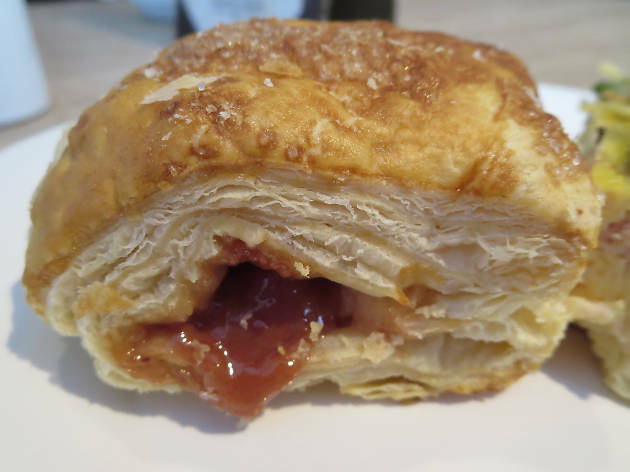 Flaky and crispy instead of dense of doughy, the traditional Cuban pastry comes in an assortment of flavors—think fillings like guava, coconut and nutella—and shapes—the triangle ones are a sweet-and-savory combo of cream cheese and guava jelly. Like Cuban coffee, pastelitos are ubiquitous in Miami though you can never go wrong with Versailles, which bakes theirs from scratch on-site, Gilbert’s Bakery, a favorite if you prefer your pastelito on the doughy side, and Breadman Miami for unique combinations, like coconut-chocolate and ground beef with sweet plantains. 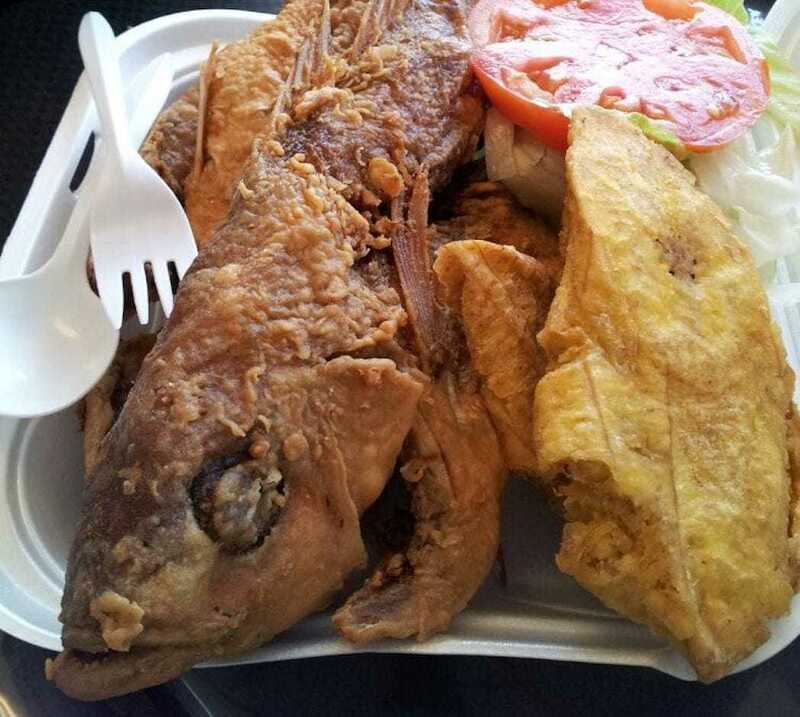 This casual neighborhood spot is known as one of the best places for authentic Haitian food in Miami. Tucked away in Little Haiti for more than three decades, Chez Le Bebe doles out the best pork griot in town (the decal on their window says so, and we believe ’em), plus a selection of traditional Caribbean dishes. Bring cash (no credit cards accepted) and prepare to wait—good food takes time. Try finding a sandwich in Miami not on bread baked by Zak Stern—it’s damn near impossible. Between selling directly to most local restaurants and bakeries to stocking the shelves at his Wynwood bakery and deli, Miami-born Stern has his hands full. 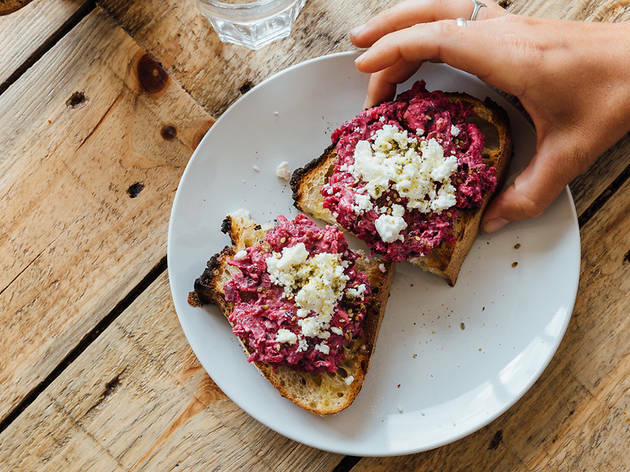 One surefire way to make sure you try one of his delicious creations is by visiting his original bakeshop, where you’ll find every type of carb from loaves of challah and artisanal toasts to assorted cookies and pastries.